QUESTION 1: I heard you mentioned that trying guitars is just an obsolete idea that belongs to the past, can you elaborate a bit on that? QUESTION 2: Is it true that the best guitars are made by only one person? QUESTION 3: Can you explain me what does Classical guitar and modern Flamenco guitar techniques have in common? QUESTION 4: Why don't you agree with the quality/price ratio criteria when choosing a guitar? 3) What is a "Falseta"? 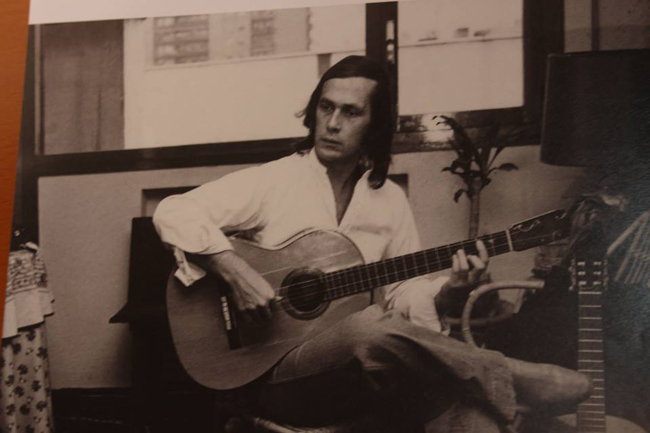 In this picture, Paco de Lucia is with his original Santos Hernandez 1927 cypress guitar which he used to record his innovative album "Paco de Lucia Interpreta a Manuel de Falla" ("Paco de Lucía Performs Manuel de Falla's Work" ) Manuel de Falla is the greatest impressionist composer of Spain. For a dozen years renowned concert violinist Joshua Bell has owned his pride and joy, a Stradivarius violin which is turning 300 years old this year. Despite it's age,Bell plays this $3.6 million instrument exclusively.